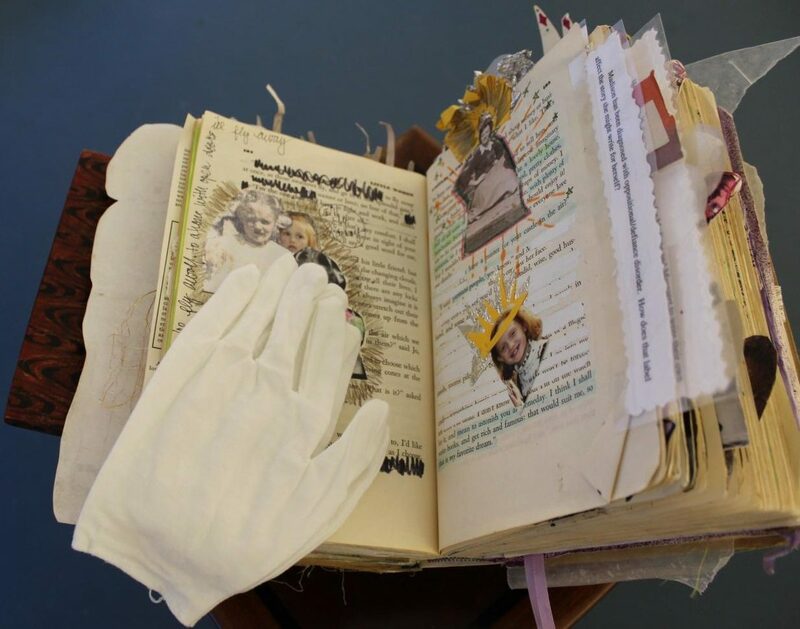 On Oct. 5, the Sycamore Place Gallery will host the Little Women Collaborative Altered Book Project from 7-10 p.m. The project, conceived by Jesse Harris and inspired by the novel “Little Women,” will feature the artwork and real-life sisterhood stories of 25 Atlanta-based female artists. The event will have an artists’ book talk and open gallery from 2-5 p.m. Saturday, and closing performances from 3-6 p.m. Sunday. On display in the middle of the studio atop a pedestal will be a copy of “Little Women,” with various poems, collages and paintings drawn straight onto it’s pages by the 25 artists. In case someone isn’t able to read or touch the altered book, then a portfolio full of each artist’s image and their statement will be available to view. 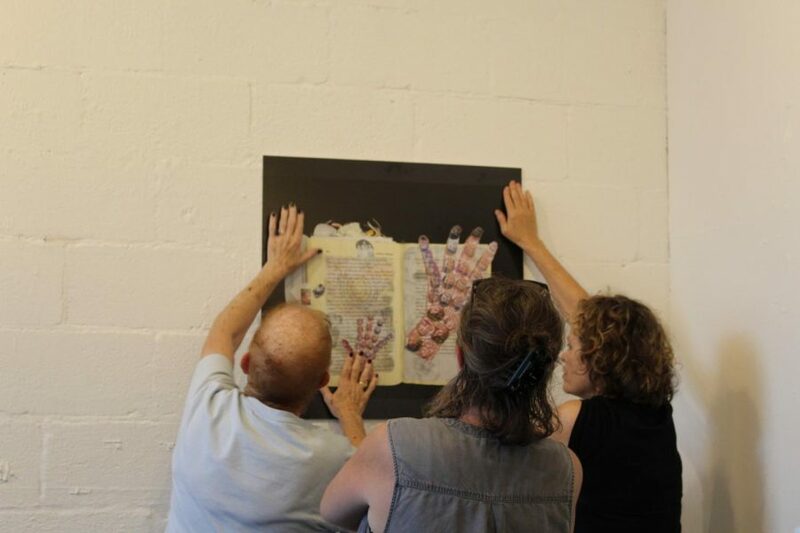 During the exhibit, an image of each artist’s specific altered page that represents their sister story will be hung on the walls of the studio. Because 25 different artists drew, wrote and added images onto the book, it’s condition is very fragile. A pair of white gloves will accompany the book so that the reader can flip through without damaging it. This year marks the 150th anniversary of the publication of “Little Women” by Louisa May Alcott. The novel tells the story of four sisters, Meg, Jo, Amy and Beth, dealing with the hardships of life in the 19th-century. Decatur resident H.P. 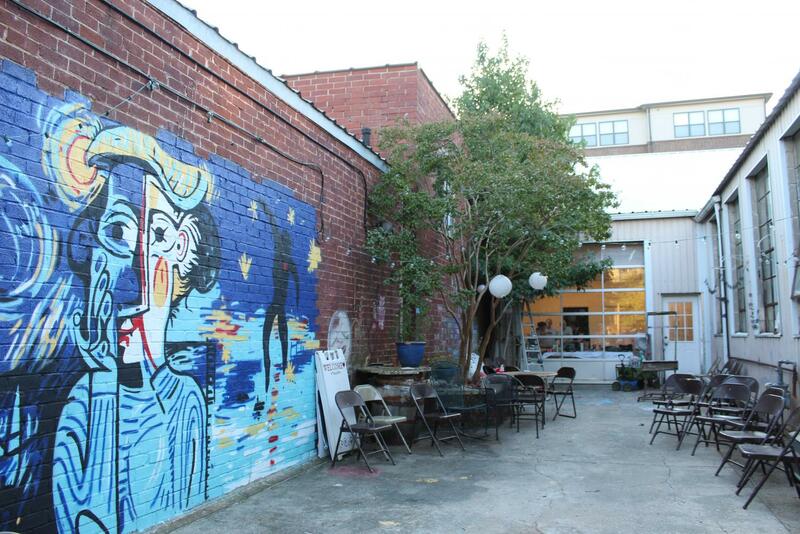 Wellborn is one of the artists who created for the event. She wrote about her older sister, Caroline. Due to the 10 year age difference, the sisters lived in virtually two separate families. “Because of this, I had the chance to find my truest self and figure out who I was,” Wellborn said. In addition to sharing her story, Wellborn’s role has included getting each person’s work printed. This process has involved communicating the artist’s ideas with the printer to make sure he executes it correctly. “Jo was an independent soul, she had her thoughts and told them to other people, which was not something considered O.K. for girls when I was growing up,” she said. Wellborn believes that Jo’s personality is still relevant after 150 years. Wellborn (left) and Harris (right) setting up the exhibit for the weekend.